Seth is 19 months old now! Mommy brag time! Seth is standing right up and then sitting down, onto a stool, at the coffee table on his own! Still a little wobbly, but he’s actually moving his feet when he’s standing there now too! He even kicked the block that fell on the floor at his feet! I really feel like he is SO close to cruising! Oh, and he CAN crawl on all fours if he feels my hand is under his chest, even ever so slightly, but his preferred mode is definitely to pull himself. He’s been doing it so long, I’m really at a loss as to how to change that! He also loves to put things onto his head, socks, blocks, clothes, etc. and giggles like crazy when they fall off. It’s SO cute! He’s doing things on command, like “Sit down,” “Give me a kiss!,” etc. His signing is exploding too! He signs more, all done, water, tired, mama, eat, and milk, and says “please” at the same time that he signs. Tonight, I asked him, “Are you tired?” and he signed it twice! I guess he was really tired! My little man is growing up…. 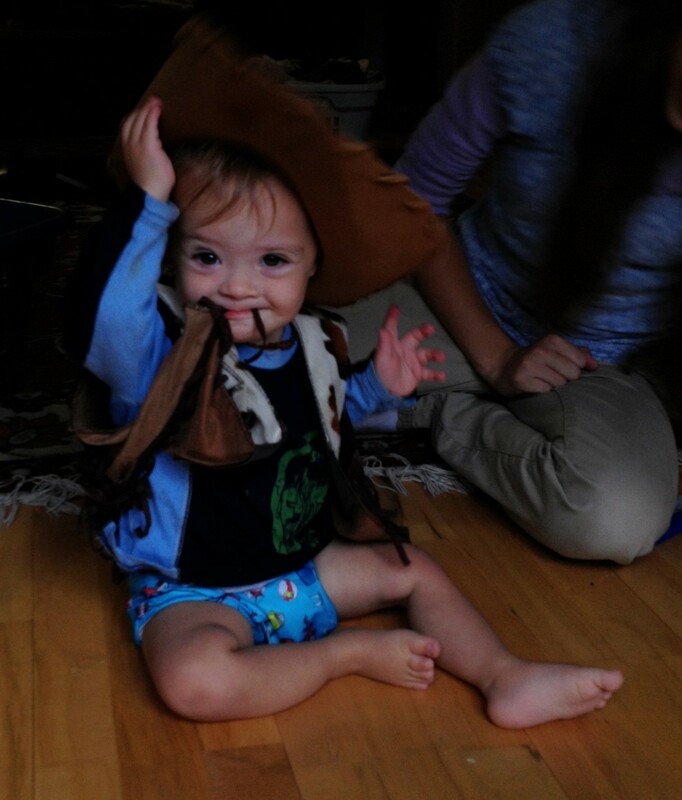 This entry was posted in Down Syndrome, Family Life, Sethy's Story, The Littles, Therapy. Bookmark the permalink.